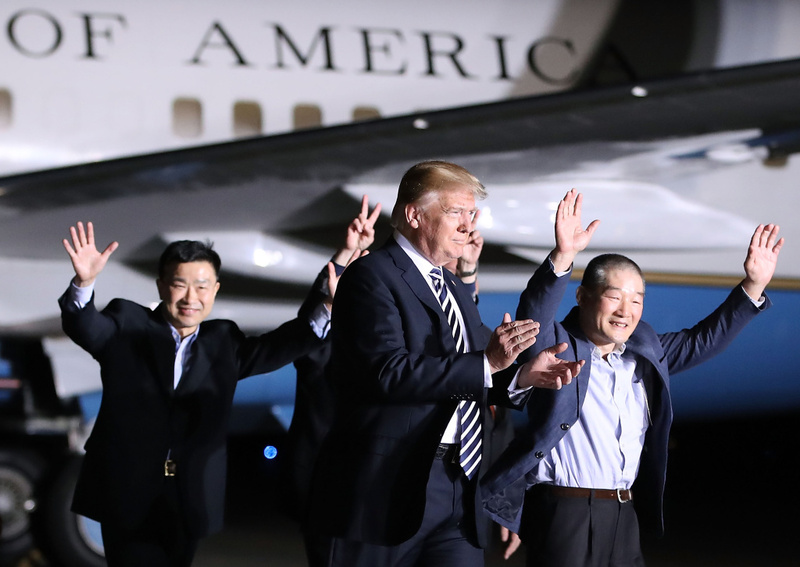 President Donald Trump walks with the three Americans just released from North Korea as a goodwill gesture ahead of a planned summit between Trump and Kim Jong Un. Big news on North Korea today. President Trump announced he’ll meet with North Korea’s leader in Singapore on June 12th. Also, the three Korean-Americans held in North Korea are back in the US. We’ll talk about their Southern CA connections, and look ahead to the Trump/Kim talks and the strategic advantages of setting the talks in Singapore.